This website initially was created to chronicle the quest for autographs from the two surviving Beatles on a piano created for East St. Tammany Habitat for Humanity. 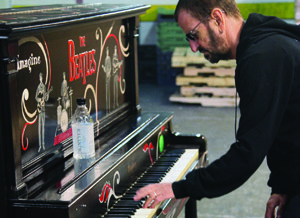 Click the photo of Ringo Starr for a direct link to the auction listing at CharityBuzz.com. Proceeds from the auction have enabled East St. Tammany Habitat for Humanity to provide an affordable home for a deserving veteran and his or her family. Thank you to all who have been part of this journey! Our CharityBuzz auctions of autographed works have ended. Additional Hope for Habitat works are still available. Visit the Hope for Habitat link and click individual artists' posts for details. 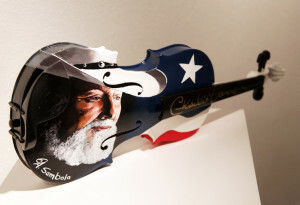 Pictured: Fiddle by Adam Sambola, signed by Charlie Daniels and band. © 2019 · Right Brain Diaries. All rights reserved. © 2016 · Right Brain Diaries. All rights reserved.